I've been meaning to post these for over a week! 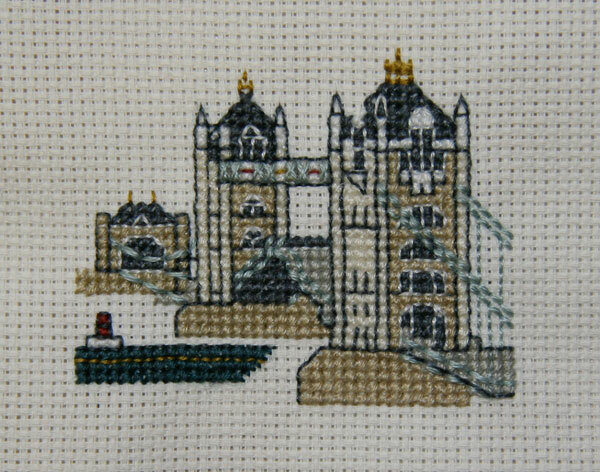 This is one of the last of my Textile Heritage miniatures that I've bought on my various trips to the UK. I think I only have one left and they'll all be stitched! 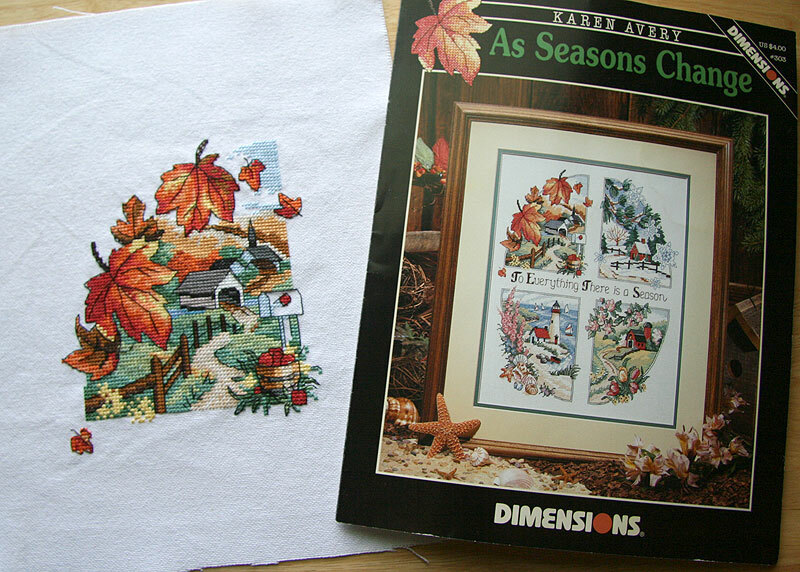 And this is the Winter piece of the Four Seasons design, all finished. I'm now working on Texas Panorama from Bestitched. I bought this at the LNS years and years ago and I have been intending to start it for ages, but just now finally got around to it. I'm starting with the letter X in the middle and I'm about 60% through that. 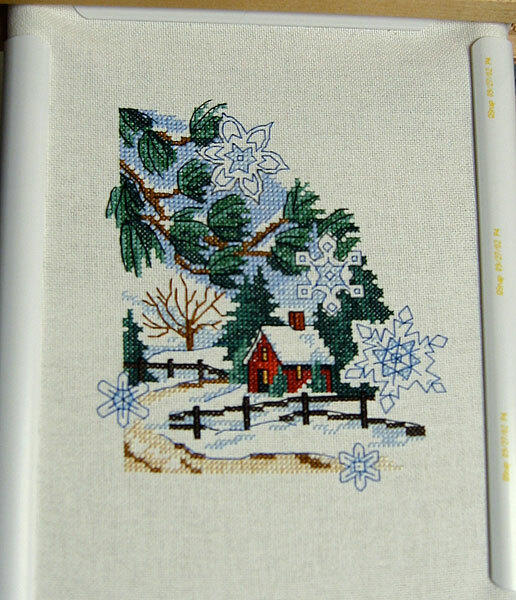 I might even get the X finished this weekend, but it has a lot of backstitching around the flowers in the bottom half, so maybe not. Maybe I'll scoot over to the E or A next and go back and do the backstitching later. :) I'll post a picture of the current progress soon.